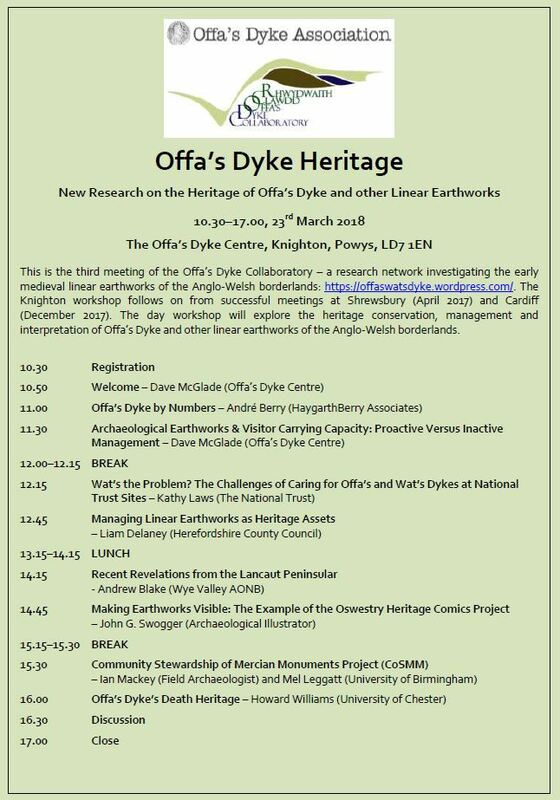 The 3rd Offa’s Dyke Collaboratory meeting is taking place at the Offa’s Dyke Centre, Knighton, this coming Friday 23rd March 2018. We have an exciting programme of speakers laid on, focusing on the heritage of Offa’s Dyke. In addition, illustrator John G. Swogger has generously featured the Collaboratory for his Oswestry Heritage Comics! Thanks a million John!